I know, I know. Most of you took your copies of Call of Duty: Modern Warfare 3 and threw them straight in the toilet as soon as that Black Ops 2 trailer hit last night. Never mind the fact that MW3 has a ridiculous amount of new content on the way. It's not just you. Take a look at the Call of Duty website. The current edition of the franchise has been reduced to a mere afterthought. 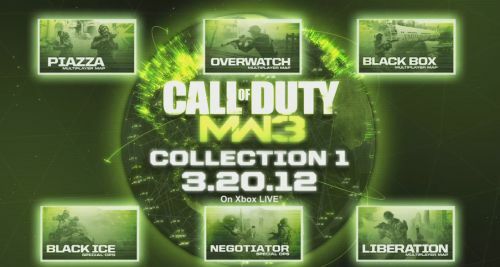 Speaking of afterthougts, PC gamers are finally going to get MW3 DLC this month. Timely. Yes, this is the same content that PS3 owners received a few week ago, as well as the same content 360 owners got back in March. It's even the same content that CoD Elite 360 members got back in January. Exclusivity is a hell of a thing, isn't it? You can see our impressions of "Content Drop Number One" right here. Check out a video after the break to see what's in store for the mouse and keyboard gang. Call of Duty: Modern Warfare 3 supports two player local or online co-op. The new content drop has four maps that can be played in the multiplayer versus mode or two player co-op survival mode. Also included are two Spec-Ops missions tailored for co-op play. It will be available for PCs on May 8th. The price point is around $15.